I can tailor a bespoke quotation for the specific requirements of your wedding day. Alternatively please have a look at the four most popular packages below. I have kept my pricing as straight forward as possible, there are absolutely no hidden costs. An initial meeting with you both to go through your plans for your wedding day and follow ups as required. Photography to include your morning preparations through to your first dance and the start of the partying. This will also include wonderful creative pictures as the sun goes down. All images will be individually edited (crop, colour correction, skin tones etc.) Blemish/spot removal (if necessary/requested). Black and white conversion as appropriate. A password protected gallery on my website for your family and friends to see your wedding pictures, guests to this page can also order prints, framed prints. All your images copyright and watermark free will be supplied on a USB in a presentation box (typically around 500 pictures). Your images will be in two formats; High resolution, perfect for high quality print and reproduction and a lower resolution format, suitable for use and sharing on social media. A PDF slide show of all your images will also be on your USB. Finally a slide show of a selection of your images to tell a story of your day set to your first dance music will be on your USB and DVD. 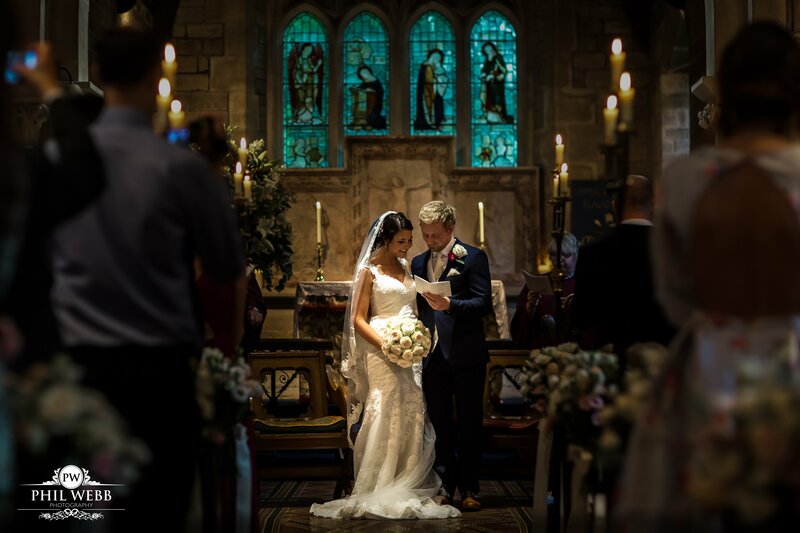 Photography to include your ceremony through to the speeches (speeches before the wedding breakfast). All your images copyright and watermark free will be supplied on a USB in a presentation box (typically around 350 pictures). Your images will be in two formats; High resolution, perfect for high quality print and reproduction and a lower resolution format, suitable for use and sharing on social media. Selected high resolution edited images will make up your album 30 page – 15 spreads, 12″ x 12″ acrylic picture fronted album to tell a story of your wedding day. A password protected gallery on my website of the images used in your wedding album for your family and friends to see your pictures. Guests to this page can also order prints, framed prints. All the images used in your wedding album copyright and watermark free will be supplied on a USB in a presentation box. Your images will be in two formats; High resolution, perfect for high quality print and reproduction and a lower resolution format, suitable for use and sharing on social media. A PDF slide show of the images in your wedding album will also be on your USB. I use a UK based company for the supply of wedding albums. The quality of these albums is second to none, they are wonderful. The two most popular styles are real leather bound or acrylic fronted with the image of your choice on the front cover. You also have the option to personalise your album with your names and the date of your wedding on the front cover. Album starting size 30 pages – 15 spreads. The interior content of the parent wedding albums is a duplicate of the main album in a smaller size. The front cover will not carry a picture or be embossed. Parent album prices start from £200.00 for two. A great gift for parents and other family friends or guests. A branded USB and DVD containing all your edited images and a slide show of your images set to your first dance music. A great way of getting used to being in front of the camera in preparation for your wedding day. We can do the shoot in one of your favourite places or I can suggest a location. We can spend an hour together to capture the pictures and you will have a collection of fantastic pre wedding edited images on USB.